What you need to know to improve your performance. What you need to know to help your performance. In my on-site work with executives, I always notice a a lot of employees wearing ear-buds or listening to music in the office. My first thought is to marvel at how many different songs must be playing in one office at a given time. On that note, one woman I work with, who used to work at a lively startup in Brooklyn, told me that her reason for swearing by headphones at work was simply to drown out the music being played over the company speakers. “Headphones gave me a faux-sense of privacy,” she told me. And she attributed her ability to be productive in what was a chaotic environment to to the sense of privacy she created with music. But as a classically-trained pianist, I couldn’t imagine being the idea of music creating an atmosphere of focus and productivity. To me, music is often a distraction that causes me to involuntarily tap out the melody with my fingers. So, is there a “right” answer here? What does science say about the effects of music on performance? Long story short: It depends. And specifically, it depends on the nature of the task you are doing — and, to some extent, also type of music you’re listening to! In a classic study of assembly line workers, background music was found to increase overall productivity. Based on what we know today, this net improvement was most likely due to the music having a positive effect on the mood of the workers — especially given the repetitive and likely boring nature of their work. This reminds me a bit of how music can “pump” you up during running or lifting weights. But what if your job is more demanding from a cognitive perspective? 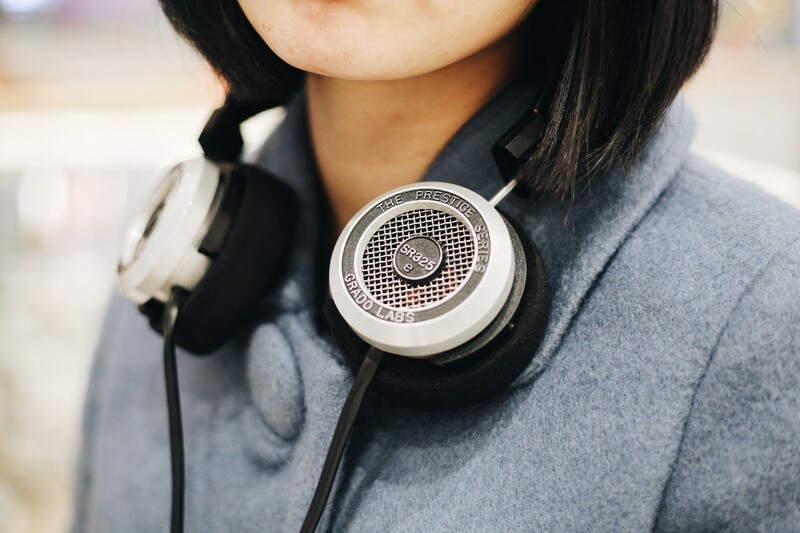 In a quasi-experiment of individuals in a variety of jobs in an office environment, researchers found that those who preferred to listen to music during work experienced an increase in performance, mood, and satisfaction with the organization as a result of their choice to “tune in” on the job. Again, the individuals who had the least complex jobs seemed to benefit the most from the addition of music. However, for surgeons (who have pretty complex work, if you ask me), listening to music on the job has actually been linked to greater relaxation, speed and accuracy. The possible explanation posed by the study authors is that music helped them because they were experts familiar with their work, and were simply uplifted by (rather than distracted by) the music in the background. Further, since their work was primarily nonverbal, any presence of lyrics didn’t interfere with their ability to concentrate on the task at hand. In another study, researchers found that the quality of work in a sample of software designers also improved while listening to music. Again, as is case for both the assembly line workers and the surgeons, this effect was likely contingent on the relationship between improved mood and productivity. And although lyrics might be distracting to some (which I’ll tell you more about below), they didn’t interfere with their ability to concentrate because of the nonverbal nature of the work. If you are engaging in complex verbal tasks that involve memory, analysis and/or comprehension, you might want to turn off the music — particularly if you are an introvert. Not sure? Let me explain. In one small study of introverts and extroverts (as assessed by the Eysenck Personality Questionnaire), the researchers examined the effects of listening to pop music while engaging in a memory task in which participants had to remember objects immediately or after a delay, and a reading comprehension task. They found that performance on the immediate memory task was hampered when listening to music for both groups. In addition, introverts revealed a significantly worse ability to remember objects after a delay than extroverts (and also performed significantly worse than introverts who did the same task in silence). This same pattern of hampered ability was seen in introverts who completed a reading comprehension task while listening to music. The researchers suggested that because the introverts in the study reported that they were less likely to work with the radio on and that they listened to the radio less in general, the study itself put them more outside of their preferred work style comfort zone. I also suspect that because introverts tend to be more likely to process internally and can find too much external stimulus to be draining, the music might have been more of a distraction to them. Now, if none of these study findings felt relatable, perhaps you are just one of those people who just feels powerful when listening to music — and you are not alone! Remember the ubiquitous meme of Michael Phelps listening to his headphones during the Rio Olympics? Did that meme resonate with you? Well, science may still be supporting your choices, as research has shown that music may help you get pumped up before a big meeting or presentation. Though once again, it depends: You have to pick the right song. In one study, researchers had undergraduates complete a variety of tasks while listening to music that had either been identified as “high power” or “low power” by another group of subjects (these ratings were not correlated with the lyrics). They were then asked to complete ambiguous words that could be completed with powerful or non-powerful words. E.g. p — — — r (someone could choose power or paper, for example). Those in the high power condition were significantly more likely to choose “high power” words than “low power” words, suggesting that an implicit feeling of power had been elicited through the music. Researchers also found that listening to powerful music enhanced abstract thinking, feelings of control over future events, and subjects’ willingness to go first in a debate (i.e. showing more assertiveness). If you want to harness the power of music, choose songs with heavy bass, as researchers found that tracks with strong bass-lines were associated with higher feelings of power among listeners, as compared to those who listened to music with less bass. Want more helpful tips that will boost your performance at work? Click here. Originally published at silverliningpsychology.com on May 9, 2017.